Come on a tour with us. 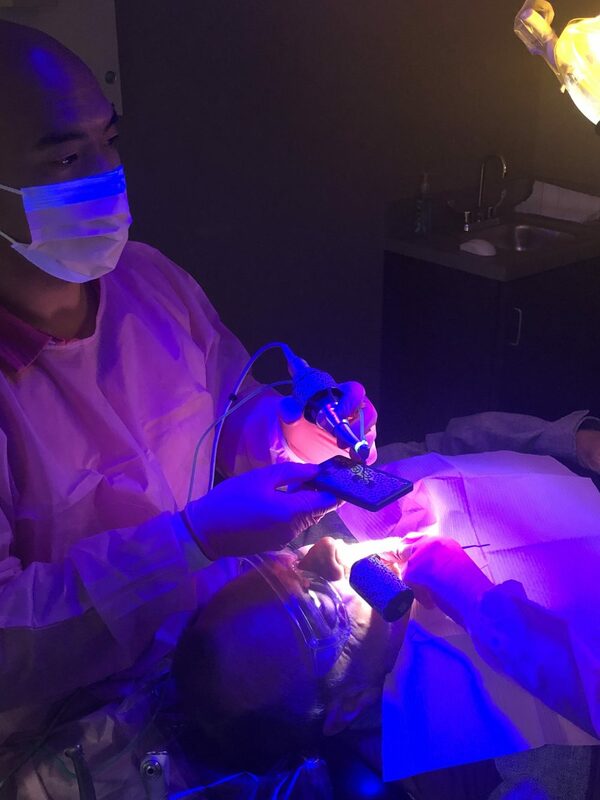 When it comes to technology, periodontal treatment, and dental implants, Dr. Wong’s office is second to none. 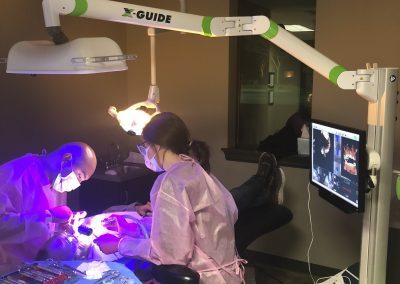 Our office is proud of the technology we have available to our patients, and our patients are reaping the benefits. One of the fastest growing demands in Dental Implant Surgery is the utilization of CBCT scans. 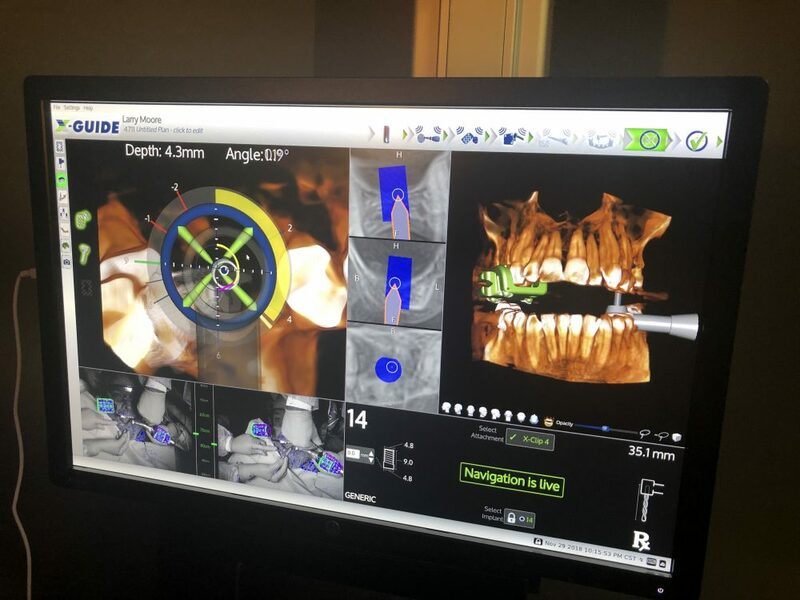 It is a 3D image that provides the anatomical accuracy required for diagnosis, treatment planning, and surgical execution for implant procedures…Dental Implant planning and placement is easier and more reliable with CBCT imagining. 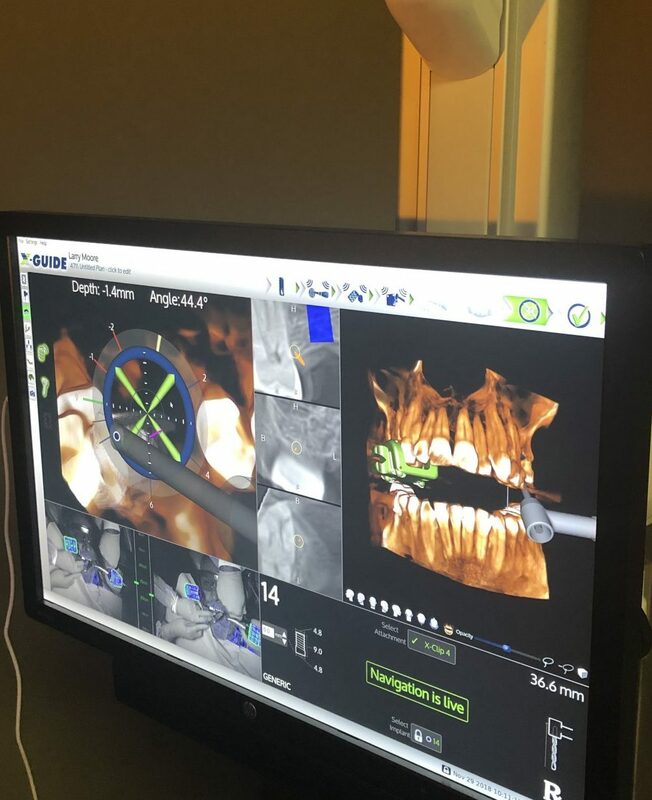 Most surgeons consider the CBCT the standard of care for their patients to ensure not only the accuracy of placement, but also for the patients’ safety. 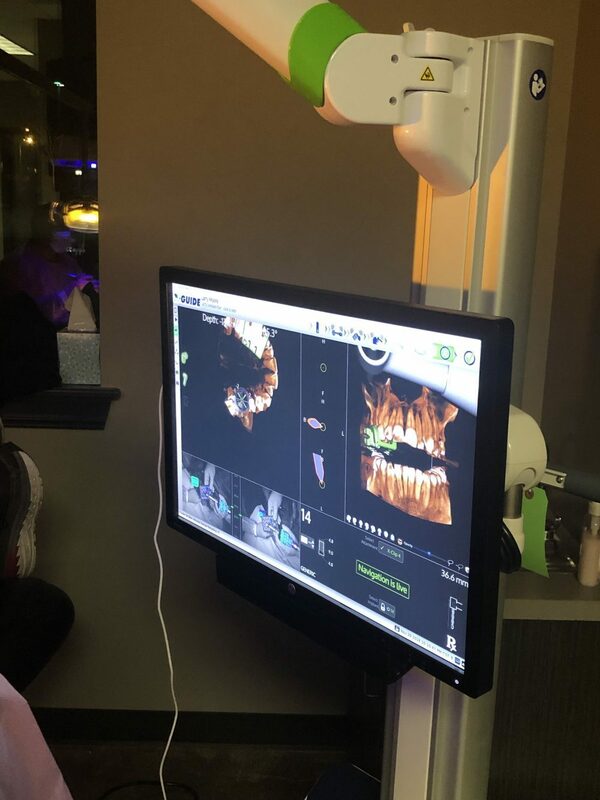 Over the past 8 years, we have invested in digital x-rays, CT Scan software, Platelet Rich Plasma, and the Periolase MVP-7 periodontal surgical laser. 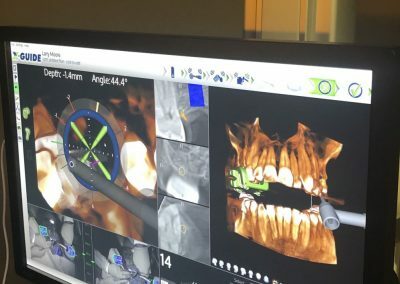 These pieces of technology are making headwaves in dentistry; in fact, our CT Scan software was featured in Health Watch on Fox News in July 2005. 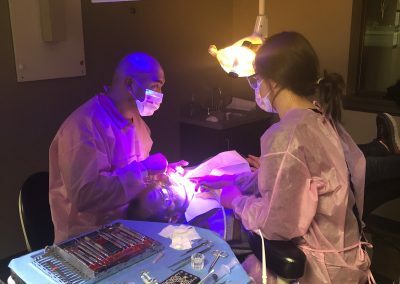 Virtual Implant Placement (VIP) software is a unique dental implant program that allows Dr. Wong to perform virtual implant surgeries on our patients…before their actual surgery time. 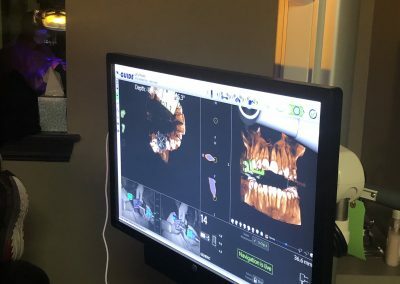 Using CT scans of our patients, we simply do the implant surgery on them in the computer. This way, we can antcipate any potential problems or complications before they occur. This leads to quicker, more predictable surgery with fewer complications and unforeseen expenses to our patients. 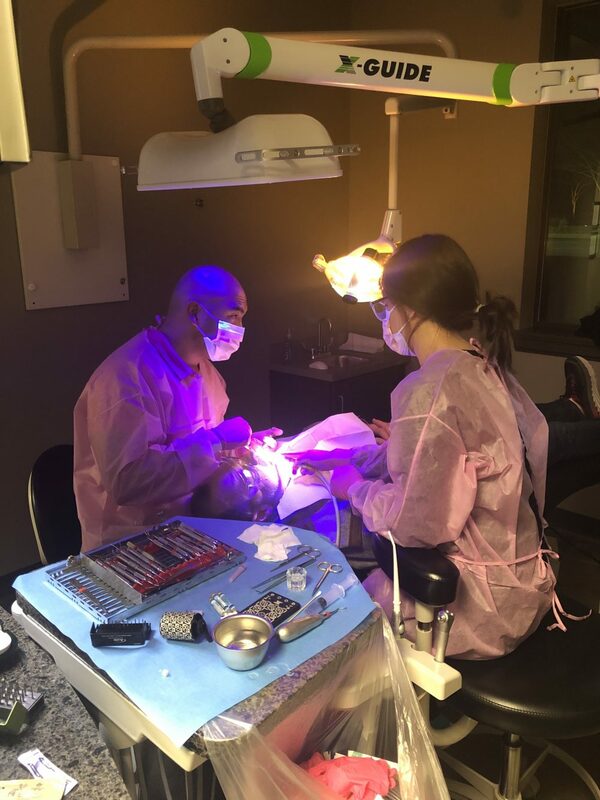 For our existing patients, our office does not charge for Virtual Implant Placement, and most medical insurances cover the expense of CT scans at 100%. 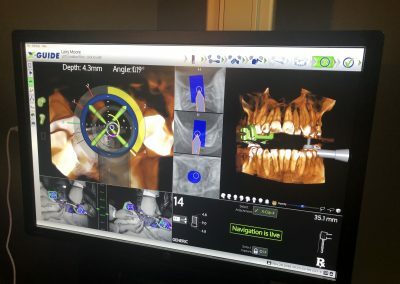 With X-Guide Navigated surgery, Dr Wong utilizes live, 3D views of the patient’s anatomy, which is critical in delivering implants for optimal patient outcomes. 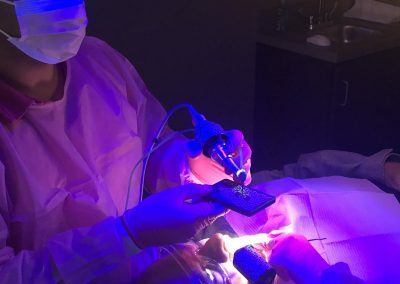 X-Guide can make same-day guided surgery a reality for our patients. 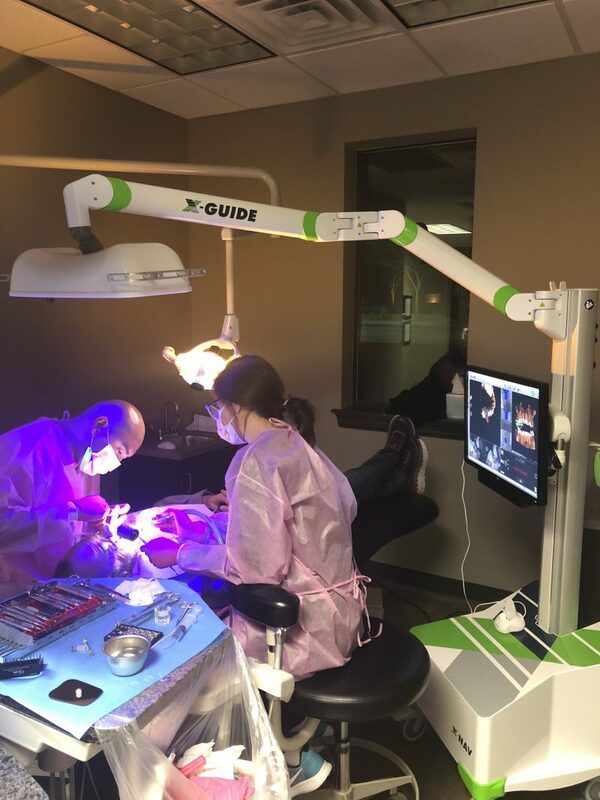 Our X-Guide system is designed to consistently elevate precision and control in our dental implant surgeries.